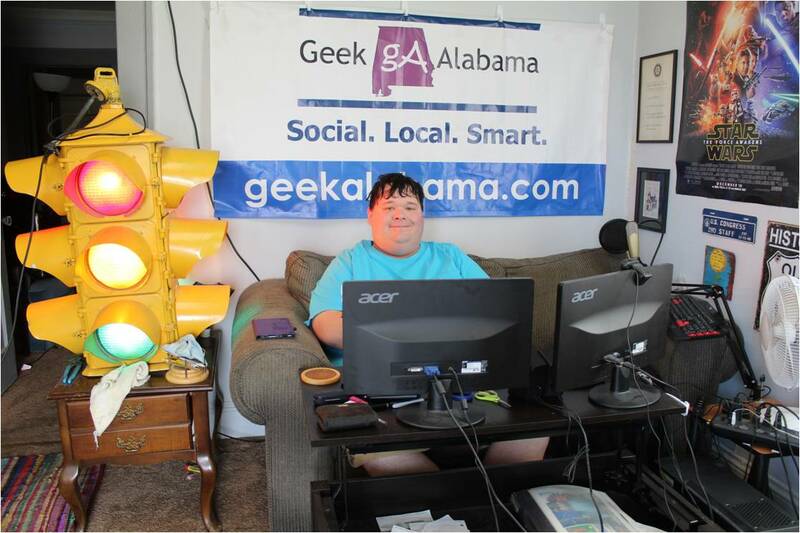 My fresh-baked strawberry pie has been popular here on Geek Alabama. 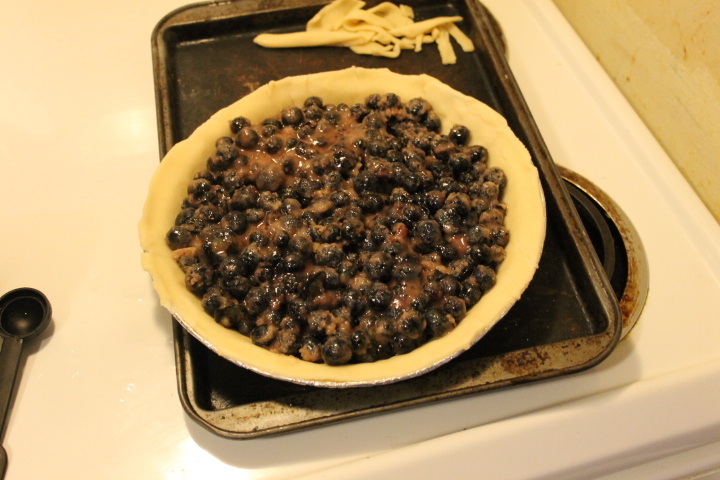 So to keep with the season theme I decided to make a blueberry pie. At the end it tasted very good but was a little runny. So If you make this you need to have at least 5 tablespoons of corn starch. Here’s what you need. 1. Preheat oven to 400 degrees. 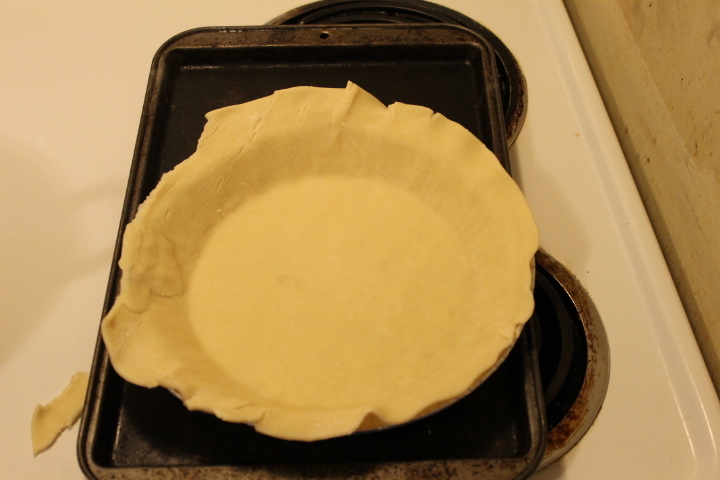 Line the bottom of the pie pan with a pie crust. 2. Wash the blueberries. Take out any stems and bad berries. Then mix together sugar, cornstarch, salt, cinnamon in bowl. 3. 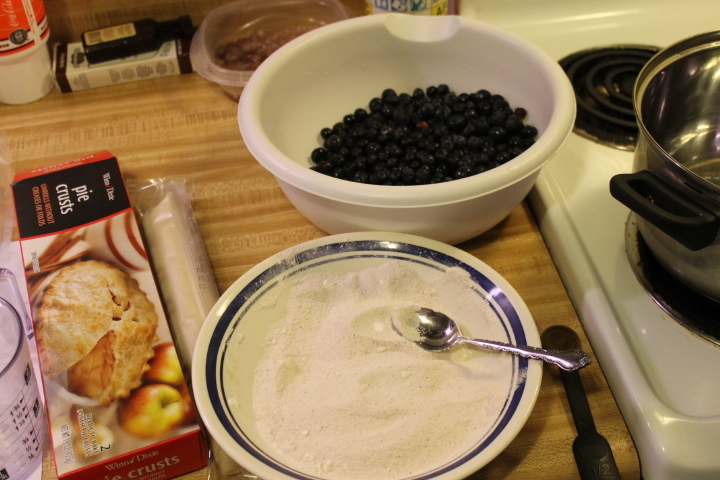 Mix together mixture into blueberries. 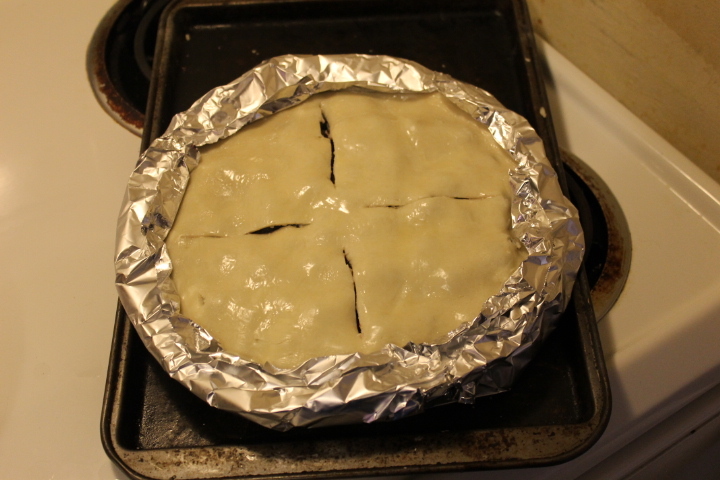 Then pour mixture into pie pan. 4. 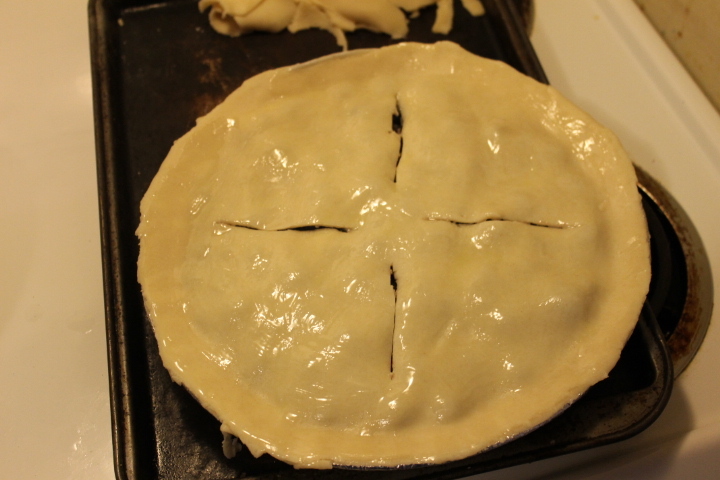 Put on top pie crust and then cut silts. Then brush with melted butter. 5. Line the edges with tin foil so it won’t burn. Bake for around 50 minutes or until pie crust is golden brown. There you have it. 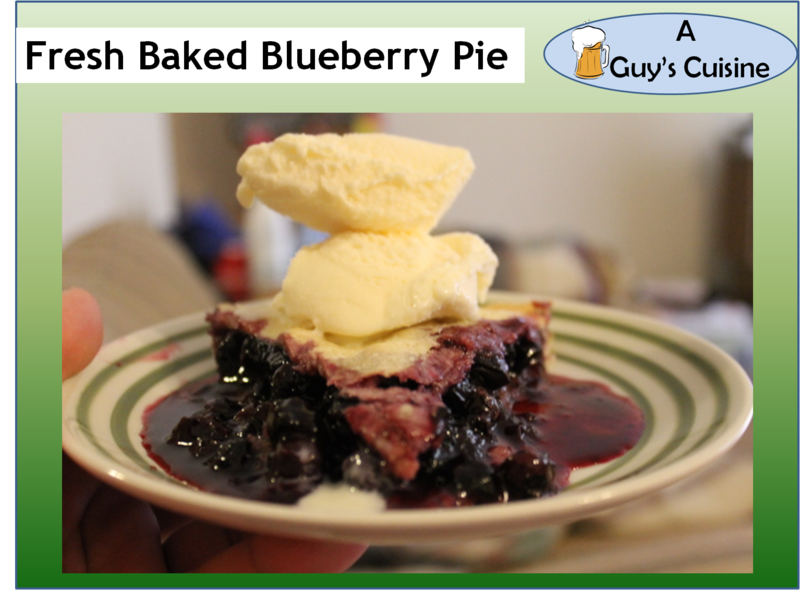 Fresh baked blueberry pie. 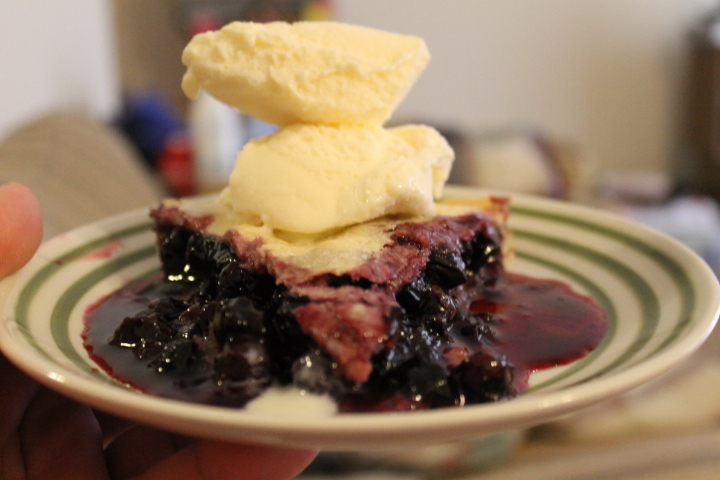 It was a little runny but the pie with a little vanilla ice cream on top will satisfy anyone on a hot summer day.